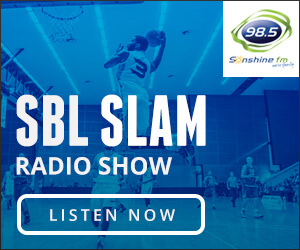 THE Perry Lakes Hawks have overcome plenty of hurdles to deliver a terrific Grand Final performance to lead from start to finish to beat the Joondalup Wolves 94-87 to claim the 2018 Men’s SBL championship. Despite losing first choice import Tyler Monroe after the first game of the season and then his replacement, and reigning league MVP, Jacob Holmen early in Game 1 of the semi finals against the Rockingham Flames, the Hawks never gave up on 2018. Veteran point guard Dan Thomas also had his season ended early but the Hawks just refused to give up on the season entering the finals on a 12-game winning run before earning a Grand Final spot for the first time since 2011 after beating the Lakeside Lightning and Rockingham in three games. The Hawks then came up and produced an outstanding Grand Final performance never trailing all evening and then surviving the charge that the Wolfpack were always going to make down the stretch to claim the seven-point win. 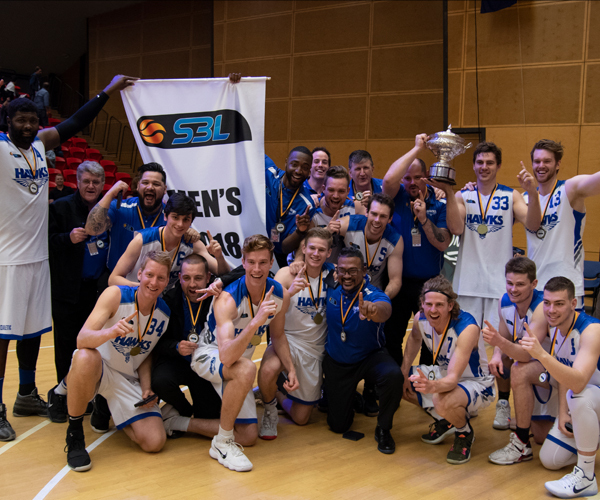 The victory is the first championship for Perry Lakes since 2004 and their sixth overall in the Men’s SBL. Heartbreakingly for the Wolves it is their third successive Grand Final defeat in what is a fourth straight appearance in a championship decider. Perry Lakes captain Ben Purser was playing in his third Grand Final and is now captain of a championship winning team and also a Grand Final MVP after producing 12 points, 10 rebounds and eight assists while playing all 40 minutes. There were any number of deserving Grand Final MVP candidates from the Hawks including big man Brian Carlwell who saved his best game for the season for when it mattered most. 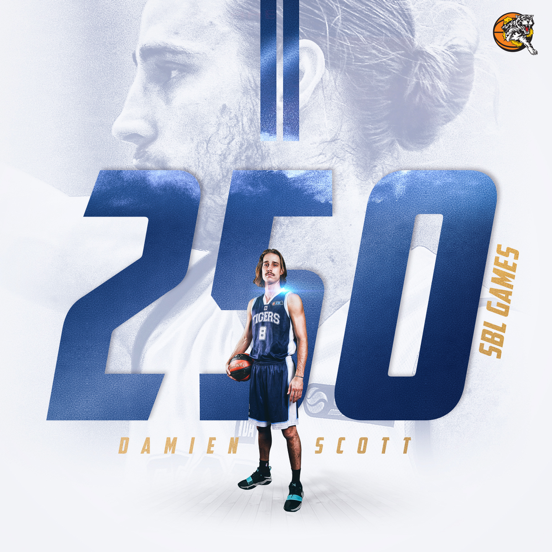 He’s now a dual SBL championship winner on the back of 21 points and 18 rebounds. Ryan Smith ended up top-scoring once more for Perry Lakes with 24 points to go with seven rebounds while hitting four threes on the night. 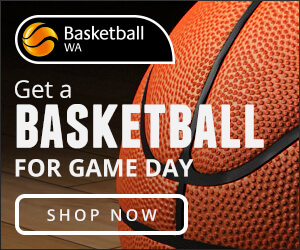 Lochlan Cummings added 23 points, seven rebounds and four assists with Mitch Clarke also having six points, co-captain Rob Cassir six points and Bailey Cole-Heath six points. Hawks coach Matt Parsons has now led his teams to two of the past three Men’s SBL championships and he couldn’t be prouder of the Hawks to come out and start well, and never surrender the lead and put the Wolves under pressure. “Scoreboard pressure is the biggest pressure there is, especially in a Grand Final and for a club like Joondalup, they are having to play with the knowledge of losing a couple in-a-row and that does add a little bit more pressure,” Parsons said. 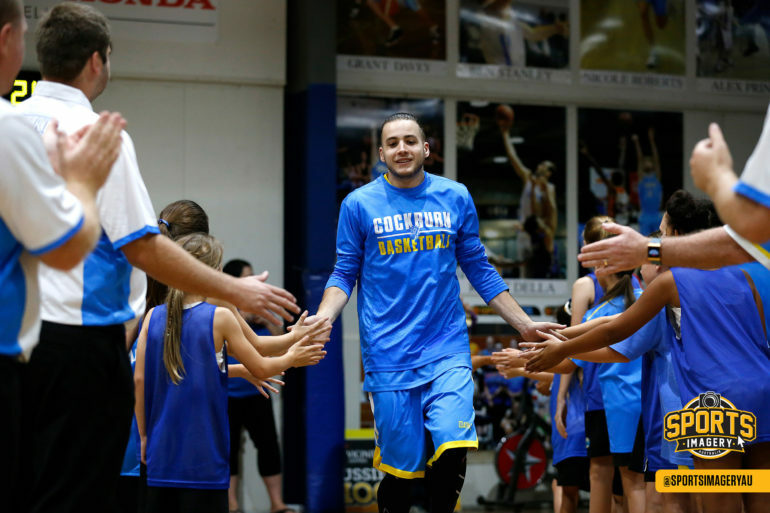 “Our job was just to maintain that and I thought we did a really good job of it. They threw runs at us and we managed to weather the storm. “With Grand Final being a one off game, it’s really about early commitment to the contest and we know they are a class team. “They are the team of the decade in the sense they’ve been there six times in the past eight years so that you can’t take away from them, and they are so experienced with so much talent. “But we just figured that they were going to make tough plays all night and we just had to grind away and make sure we executed at a higher percentage. It will be a tough loss to stomach for the Wolfpack after another outstanding season but Jalen Billups tried valiantly for 22 points and 13 rebounds. Foul trouble limited him to 24 minutes though. Rob Huntington came up big for the Wolves for 19 points, six rebounds and three assists with Trian Iliadis adding 15 points and three rebounds, Brian Sullivan 13 points and three assists, Seb Salinas eight points and three rebounds, Damian Matacz seven points and three assists, and Reece Maxwell three points and three assists. The Grand Final got underway with a triple for Perry Lakes to Lochlan Cummings before Joondalup responded firstly through Reece Maxwell and then a three to Brian Sullivan. But it was Perry Lakes who would catch fire first and after a Bailey Cole-Heath basket, Ryan Smith three and Cummings three they were up 15-7. That soon became 18-9 when Smith hit another from beyond the arc but the Wolves had steadied before quarter-time to be just down by three when Trian Iliadis hit one from downtown. The Hawks opened the second quarter on fire with two buckets to Carlwell and another to Smith to lead by nine points before Billups scored to steady the Wolves. Then after the Hawks went up by 11, Iliadis responded with consecutive threes to keep the Wolfpack close. But Perry Lakes just kept having the answers and despite a couple more Joondalup threes to Sullivan and Huntington, by the time Cummings hit one of his own for the Hawks and Carlwell delivered four consecutive points, they led by a game-high 13 points with two minutes left in the half. Sullivan nailed another three and Salinas, Huntington and Damian Matacz all scored in the last two minutes for the Wolves to keep them within touch down by just six at half-time. The Wolfpack continued that momentum to start the second half with Billups and Iliadis combining to tie scores up at 50-apiece before a Smith three for Perry Lakes. Billups continued to be a strong presence and made an and-one play, and another strong bucket but he soon picked up a fourth foul to see him miss the second half of the third quarter and the first half of the fourth, which was pivotal in the final result. 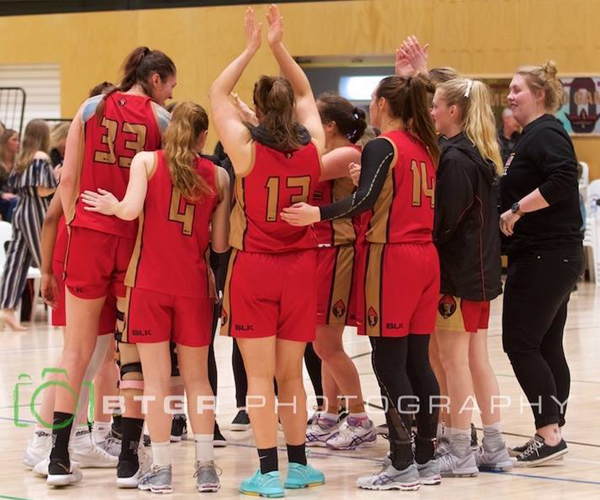 Perry Lakes again threatened to pull away late in third going up by eight with a three from inspirational co-captain Rob Cassir before Sullivan kept Joondalup within four with a big three on the buzzer heading into three quarter-time. It was game on when Seb Salinas knocked down a three to bring the Wolves within a point with six minutes left in the Grand Final but the Hawks just continued to have the answers and Smith responded in kind. Cummings then knocked down consecutive triples and made another two at the line in an individual 8-0 run that put Perry Lakes up 85-75 with 3:45 left. But after what happened with Lakeside running down Mandurah in the Women’s Grand Final on Friday night after being 10 down with five minutes left, anything could still happen. Despite Carlwell being massive for the Hawks with offensive boards and put backs, the Wolves did threaten a couple of times over the last three minutes getting back within six after Sullivan made 2/3 at the foul line and Billups delivered a basket. Sullivan’s attempted deliberate miss on the third free-throw for his team to get the rebound didn’t pay off though. When Billups scored again with 39 seconds left it was game on still as the Wolves desperately sought a turnover. 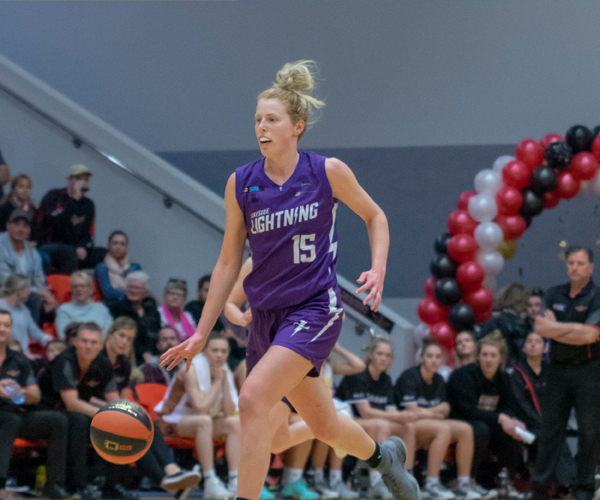 They almost had one too but the Hawks secured a massive loose ball and then Smith iced the game at the foul line and Perry Lakes secured a memorable championship triumph.